If only we might believe these words as we move along the route of our global and personal pilgrimage. If only we might take up the words of hope the disciples of Christ share with us. If only we might show compassion for our enemies and pray for the Spirit’s healing and consolation. If only we might be Christ in the world, restoration for the marginalized, and steadfastness with all who yearn for peace. When we compare varying translations of these words, we come to know for ourselves the promise of Christ, the hope of the Spirit, and the wisdom of God. We have journeyed through Christmastide. We have spent time with the magi and their gifts of wisdom, mystery and grace. Today we reflect on one of Jesus’ major messages: Loving our enemies. Various translations present today’s story with varying titles; yet despite the words, the story of David’s patience, wisdom and forgiveness remains the same. David – who seeks forgiveness from Yahweh himself – understands the importance of mercy. David says that we need to allow our foes to curse us if that is the will of God, for who are we to stand in the way of God’s design? When Shimei curses him, David says, Let him alone and let him curse, for the Lord has told him to. Later, in Chapter 19, Shimei returns to David and repents his cursing. David forgives him. What do we learn today? We never know when someone is on his or her conversion path, and to allow someone conversion of heart is correct, just, and God-like. As we move forward into this new year, we will want to give thought to the benefit, the beauty and the grace we might find in allowing our adversaries to curse us. When we use the scripture link and the drop-down menus to explore various versions of these verses, we discover the many gifts that come to us when we love our enemies. Adapted from a reflection written on February 4, 2008. Why must we be cautious in judging others? Who is our model in this difficult challenge? What do we gain by refraining from judging? Is the promise of union with Christ in his love of enemies enough for us? Does kindness hold the same allure as power, fame and wealth? As we compare varying versions of Jesus’ words, we continue to consider where we put our concerns and how we act on them; and we reflect on how we live out our God-created identity. In this often-told Old Testament story we see how words can be used to deceive and conceal. Words of love can manipulate and destroy as well us build up and restore. So he took her completely into his confidence and told her, “No razor has touched my head, for I have been consecrated to God from my mother’s womb”. In this well-told Old Testament story we see how trust and betrayal both tug on the body, mind and soul. Acts of deceit become preludes to acts of greatness when God is central to our lives. Delilah had Samson sleep in her lap, and called for a man who shaved off his seven locks or hair. Then she began to mistreat him, for his strength had left him. In this familiar Old Testament story we see how intimacy and revenge are dichotomous sisters in our modern lives. But always, as in this story, malice is superseded by God’s love. Samson cried out to the Lord and said, “Oh Lord God, remember me! Strengthen me, O God. In any array of negative emotion we call on God for strength; and so our fear, anger, and desire for revenge become hope, mercy and love. In this often-told Old Testament story we see how words can be used to deceive and conceal. In this often-told New Testament story we see how words of love can build up and restore. As we journey toward the Easter promise, let us reflect on the actions and words of Samson, Delilah and Jesus. Let us determine the source of our strength; and let us determine who we choose to follow and why. Jeremiah’s frustration runs high; his disappointment in the social and religious structure is enormous; his passion grows larger than his own life. The prophet cries out in a beautiful and poignant prayer for vengeance. Heal me, O Lord, that I may be healed; save me, that I may be saved, for it is you whom I praise. We have followed your precepts and still we suffer. The day of calamity is upon us. No one remembers your loving care; the number of your faithful dwindles. Yet I did not press you to send calamity; the day without remedy I have not desired. We have walked in The Way the Christ has shown us and we have turned the other cheek, offered clothes to the naked, fed the poor and housed the homeless. You know what passed my lips; it is present before you. We have refrained from gossip; we have spoken of our love for you. Abide with us here, remain with us now. Let my persecutors, not me, be broken. Bring peace to my enemies; soften the hearts of the stiff-necked. Bring upon them the day of misfortune, crush them with repeated destruction. Bring upon my adversaries your serenity that heals shattered hearts, your love that mends broken minds, and your peace that restores fragmented spirits. Heal us, O Lord, that we may be healed . . .
For in this healing that we find reconciliation . . .
Save us, that we may be saved . . .
For it in this saving that we find eternal peace . . . It is you whom we praise . . . It is you alone who brings life that endures all things. It is you alone who brings an end to our days without remedy. Amen. Go to the sidebar on the right of the blog page and scroll down to find another Prayer for Revenge based on 1 Samuel 24. We use the word love easily and perhaps without thinking. We enact the word love with our gestures and actions more than with our words. We seek God, wisdom, comfort, happiness and we look past the simple fact that we are . . . that we have the capacity to love . . . and that we are loved by our creator. We are an action of God’s love. 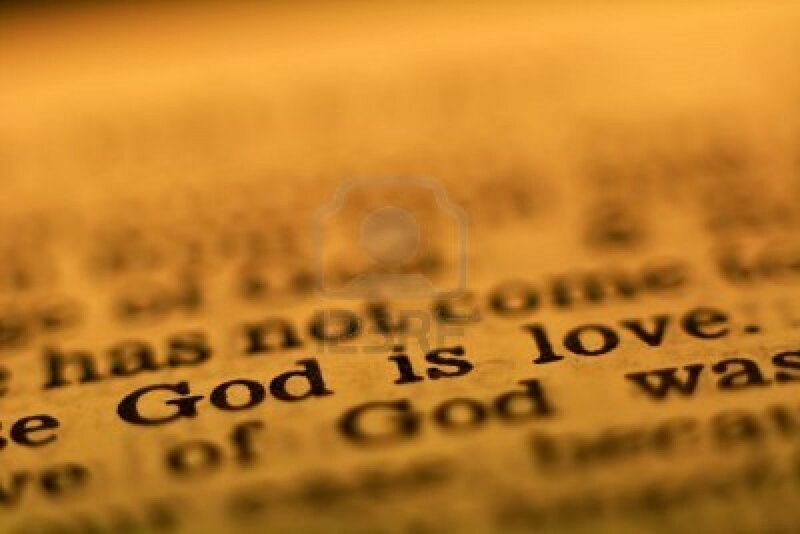 In this is love: not that we have loved God, but that God loved us and sent his son as expiation for our sins. We give ourselves credit for all the good that we do and the goods we possess and we look past the simple fact that we are nothing without first being created by God . . . in and for and to . . . love. Beloved, if God so loved us we also must love one another. We easily love our friends, family members and colleagues with whom we see eye to eye and we ignore or even reject those who disagree with us or even do us harm. No one has ever seen God. Yet if we love one another, God remains in us, and his love is brought to perfection in us. We praise ourselves for all that goes well and curse God for all that does not. We go to God in times of distress and forget to include God in our celebrations of joy. Today, let us commit to including God in every meal, in every meeting, in every chore, and in every relationship. Let us commit to living as if we are in love with God in every gesture, with every word and in every moment and place. And let us remember to thank God for all his gift of expiation . . . for as we are forgiven so must we forgive. As we are loved . . . so must we love. Enter the words God’s Love or God’s Love Letter into the blog search bar and reflect on the gift of love that we are freely and generously given. Tomorrow, this is how we know that we remain in God.